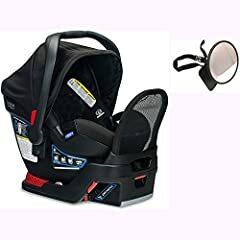 Top of the line safety features in an infant car seat that works with or without a base. Babylist Scout Kia shows you more! Endeavours is Britax’s latest rear-facing infant seat, and its flagship in the category. 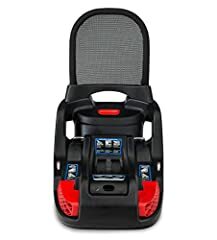 The car seat offers the safety features of the Britax B-Safe 35 (already a standout), plus a steel anti-rebound bar for greater protection in case of a collision and a European belt path system that allows you to use the seat with confidence without a base. Britax is known for easy to use products, and this seat is no exception. Installation is straightforward using the SafeCenter LATCH. (LATCH, Lower Anchors and Tethers for Children, are in all cars made since 2002. They are located between the cushions in your backseat.) You clip the car seat base into your car’s anchors and tighten from the middle of the base, rather than on the side. Spring-assisted recline and dual level indicators make it clear when you have the correct angle. Just like the B-Safe Elite, Endeavours also has two layers of side-impact protection. 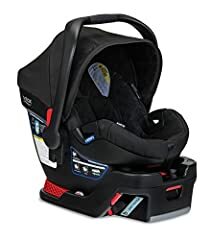 The quick-adjust headrest makes it easier to adjust the shoulder straps to a safe height as your baby grows, and the no-rethread harness makes it easier to remove the cover when it gets dirty. The plush fabric cover pulls off easily for washing (one of the few dings on this seat: it’s hand-wash only). The ergonomic handle is designed to be more comfortable for carrying with your hand or over your forearm, and the generous canopy gives your baby ample coverage. Unlike other Britax seats, this one has a European belt guide system, which makes it a cinch to install safely and securely without the base. The lap belt threads through two slots on the sides, and the shoulder belt is secured in a slot on the back of the car seat. While using with the impact-absorbing base provides the most protection, you can use the seat without worry when you travel or carpool. If you’ll be using the seat often in taxi’s or friends’ cars, this is a great option. Another standout safety feature of the Endeavours base is its steel anti-rebound bar, which reduces rebound rotation up to 30 percent. 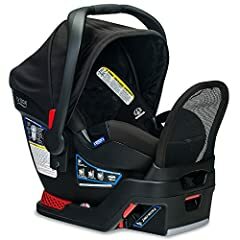 The seat works with B-Safe 35/B-Safe 35 Elite bases as well (Click & Go compatibility means you can use it with any Britax base or single stroller), but these don’t have the steel bar. An extra car seat base (to install the Endeavours in multiple cars) is also available.